Protected by the benefits of PHYTOMILLESIME, hair maintains its integrity for longer and color keeps its vibrancy. This protection helps to improve the resistance of color-treated and highlighted hair to external aggressions. 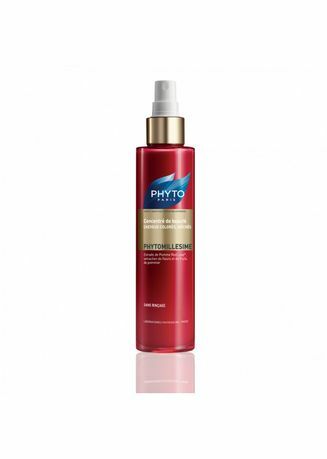 By restoring the hair's lipid barrier, PHYTOMILLESIME leaves hair stronger, softer and more resilient. The hair is perfectly cared for, scales are smoothed and color reveals an incomparable shine, with a new, pure, intense and dazzling radiance. Detangling becomes a breeze. Hair is easier to style, frizz is controlled. PHYTOMILLESIME doesn't just enhance; it breathes new beauty into your hair! Soft, flowing and frizz-free, it stays in place better and is beautifully sensual.